There is plenty for you to do at Highwoods Country Park, Colchester. Walking, climbing, dog walking, running, nature, adventure, fishing and much, much more! 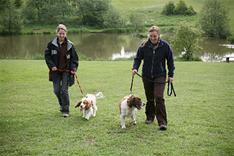 There are a number of well marked trails and paths for walking, dog walking, running and cycling! Relax and fish in the well stocked fishing lake - a perfect way to spend a day! Enjoy a well deserved cup of tea and snack after a good walk in the visitors centre! 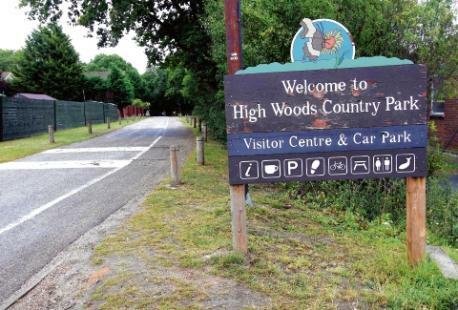 Welcome - the aim of this site is to provide a complete visitors guide for Highwoods Country Park. This includes an event listing of all of the wonderful activities that take place throughout the year. The events can even be added to your own calendar!!! Simply visit the Events page for full details. 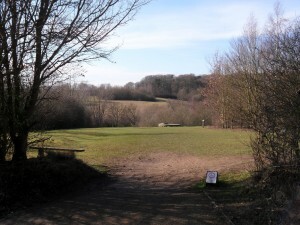 Highwoods Park is very popular with dog owners as it offers a wonderful environment for "man's best friend" to walk, run and play on and off the lead. Dogs love all of the smells and can investigate in between all the trees, searching for a rabbit to chase. 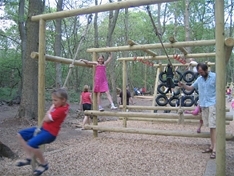 The woodland and open spaces really offer everything a family needs for a fun day out. A nice brisk walk along the woodland paths, a bit of den building, a well deserved picnic and then, Mum and Dad can take a rest watching the kids play in one of the adventure play areas. Best of all - no batteries required!! !